I have come to conclusion, that man can’t live on one keyboard alone. The one used for gaming, may not be the same used for working. This has made me pick up the M500 as a purely dedicated gaming keyboard. I have become used to my work keyboard, and I work fast when using it. But it’s not the best for gaming, hence the decision to use two instead of one for all. I really love the design of the M500. It’s a compact keyboard, but the key layout is bang on point. When plugged in the blue hue shines out through the key caps. The whole thing is just 17.5″ wide, which is a lot shorter then my work keyboard. Which makes it perfect for gaming as travelling to different keys is reduced, but doesn’t work for me for typing. I felt my hands to be restricted and were almost on top of each other while typing. On the back is the smart cable management system, allowing me to wire the cable around the back. The overall build quality is amazing, this thing feels solid as a rock, and could double as a weapon. 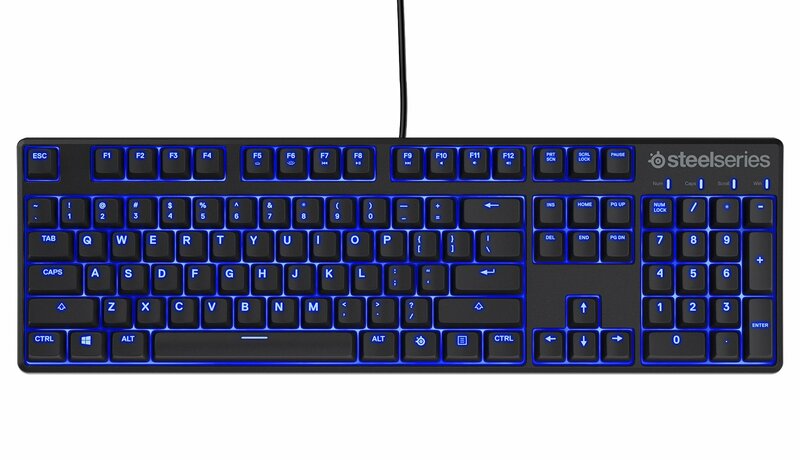 The M500 utilises MX Red switches, which is great for gaming and typing. They give of that satisfying click when pressed down, and I can tell the difference when gaming on these compared to a standard keyboard. The F buttons along the top also contact various media controls, though these are something I tend to use that much. • Cherry MX red mechanical gaming switches. • Individual blue LED illumination. 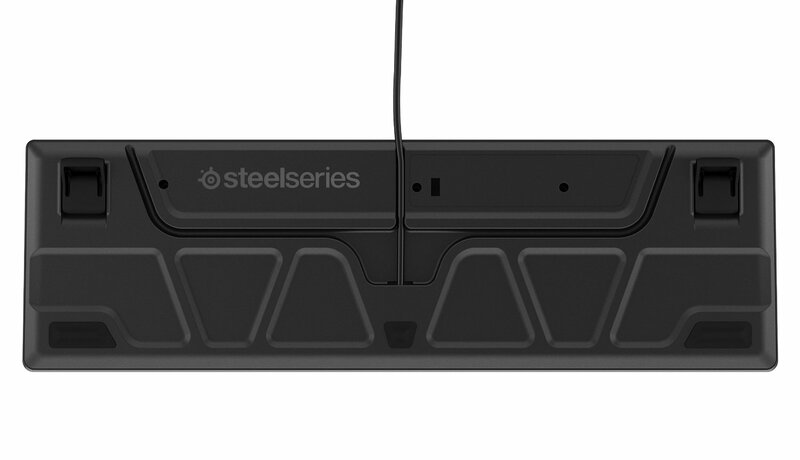 • 100% programmable with SteelSeries Engine. • Full anti-ghosting with 104 key rollover. • Reinforced steel back plate. • Under board cable management. 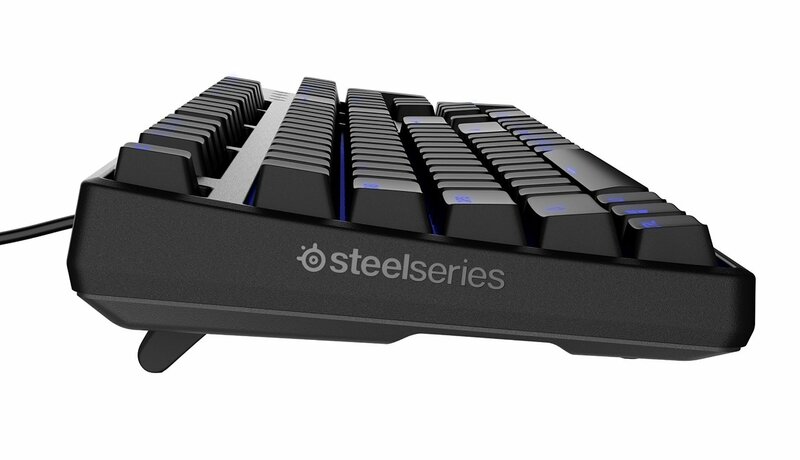 There is the obvious SteelSeries software that can be downloaded and then used to change various aspects and profiles of the keyboard. 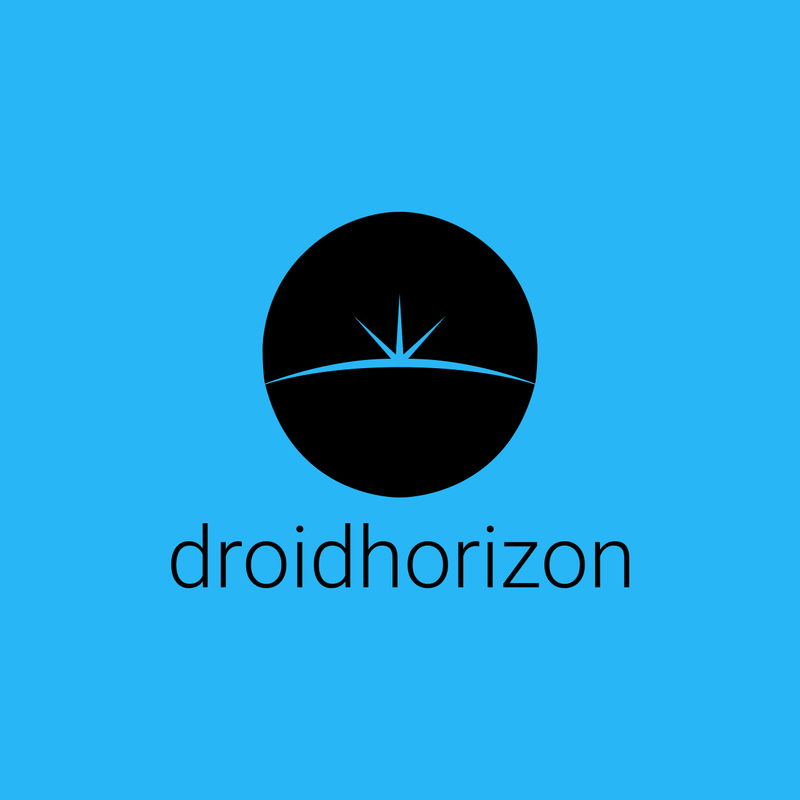 This is the same that can be used with the newer and older models and is a brilliant piece of software,. For around £95 this a great little solid keyboard. The who thing is built really well, and can take a lot of bumps. 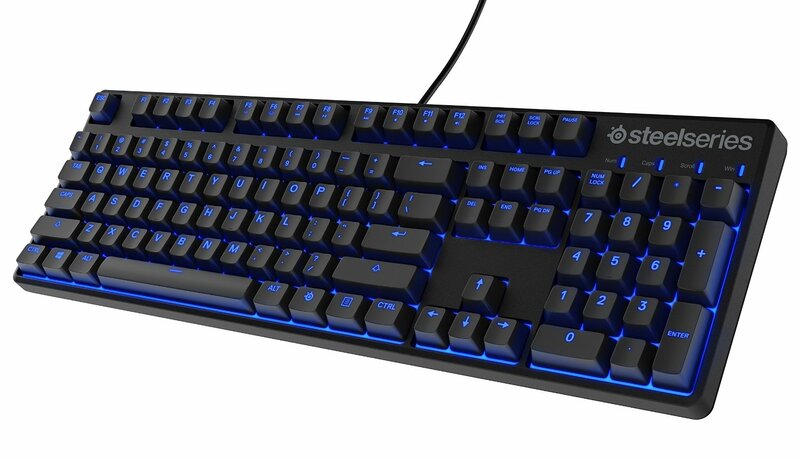 The Cherry MX keys are excellent, and the lighting rounds off the whole experience.